CALIFORNIA RIVER FLOWS C.F.S. FLOWS: UPPER SAC, McCLOUD, KLAMATH, TRINITY RIVERS AND MANY OTHERS!! ALL OF CALIFORNIA & WESTERN USA RIVER FLOWS. CUBA FLY FISHING GUIDES AND LODGING PACKAGES. Cascade Theatre Redding, The Best Concerts Are Now In Redding. Kansas, Peter Frampton, Jackson Browne, Jethro Tull, Robert Cray, Boz and More! Buy Your Tickets NOW! CUBA Tours In Classic Cars. 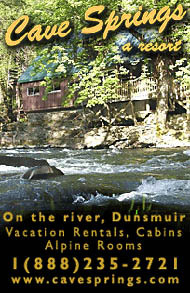 DUNSMUIR BREWERY WORKS - THE PLACE TO GO AFTER THE RIVER, SERVING DINNER TIL 10 PM. 530-235-1900. Shasta.com - Northern CA's premiere business website! EASTER ISLAND INFORMATION & TOURISM SITE CHILE!! 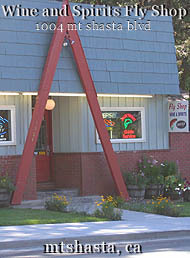 530-926-5596 A Great Place to stay in Mt Shasta and also closest to the Mt Shasta Ski Park. The Best Waders Ever Made. BRODIN MAKES THE BEST NETS YOU CAN BUY! FISH POND PRODUCTS ARE MY PERSONAL FAVORITE AND INNOVATIVE LIKE NO OTHER BRAND! FISH POND PRODUCTS ARE THE WAY TO GO FOLKS! 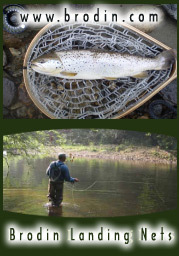 Temple Fork Fly Rods ~ Credible Performance ~ Incredible Price. **DREAM INN BED & BREAKFAST MT SHASTA * 326 Chestnut Street, Mt. 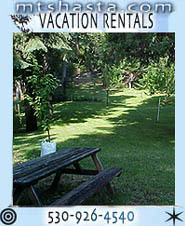 Shasta 96067 530-926-1536 or toll free 877-375-4744 ** THIS IS A WONDERFUL PLACE TO STAY IN MT SHASTA MAYBE THE BEST! FOLKS THAT STAY HERE CAN WALK TO RESTAURANTS, SHOPPING AND BILLY GOATS PUB. I THINK YOU SHOULD STAY HERE, YOU WILL LIKE THE ATMOSPHERE AND FEEL LIKE A MT SHASTA RESIDENT! HALF WAY ON YOUR WAY UP FROM THE BAY AREA TO FLY FISH WITH JACK TROUT!! TRY ONE OF OUR FAMOUS DELI SANDWICHES OR ENJOY FOOD IN OUR BAR/RESTAURANT. ** THANK YOU FOR STOPPING AND EATING AT GRANZELLA'S RESTAURANT, WILLIAMS EXIT, CALIFORNIA, INTERSTATE 5. THE BEST INVENTIVE OUTDOOR FASHION CLOTHING EVER MADE! Acme Computer 877-630-2263 Serving All of Siskiyou Co.
CALIFORNIA RIVER FLOWS C.F.S. FLOWS: UPPER SAC, McCLOUD, KLAMATH, TRINITY RIVERS AND MANY OTHERS!! 530-235-2012 Call for Annunal Sac River Clean-up! 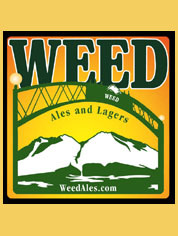 MT SHASTA'S AREAS BEST RESTAURANT! **STAGE DOOR. 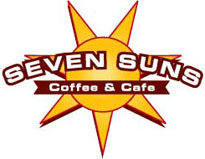 414 N. Mt Shasta Blvd. www.stagedoor.com** SERVING BREAKFAST, LUNCH AND DINNER! GREAT JAZZ, CABARET AND ENTERTAINMENT IN MT SHASTA! CLICK HERE TO SEE A GREAT SITE!! **MT SHASTA BOARD AND SKI PARK. 530-926-8686 Snow Phone** Buy your season pass now! MT SHASTA WEATHER FORECAST SIZZLERS! THIS IS THE #1 AREA WEATHER SITE, THIS IS THE ONE PILOTS USE FOR WEATHER CONDITIONS FOR MT SHASTA AND THE SURROUNDING AREAS. GET WEATHER, TEMPS, WIND DIRECTION & SPEED, EVEN THE TEMPS AT THE TOP OF MT SHASTA!! DON'T LEAVE HOME WITHOUT THIS INFO, IT COULD SAVE YOUR LIFE! 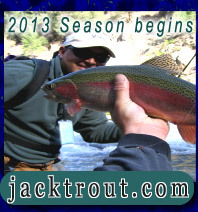 JACK TROUT FLY FISHING ~ McCloud River, Upper Sacramento, Klamath, Hat Creek, Fall River, Lower Sac, Trinity Rivers. 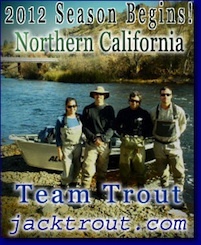 North States Favorite Guide Service, "We may not be the biggest in California, but we have the most fun!" MT SHASTA SCENIC TOURS. 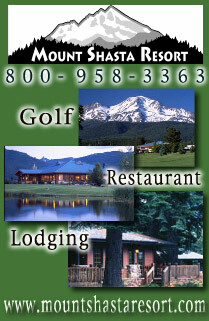 530-926-4540 TOUR INFO** Click here to see our area tours to Mt Shasta, McCloud Falls and Castle Crags. 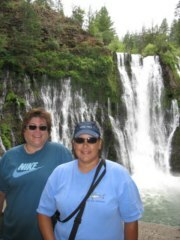 We also tour people and groups to Burney Falls and Mt Lassen. Catered lunches, awesome views and the area's most knowledgeable and entertaining guides. Individual tours, small or large groups welcomed. CALIFORNIA RIVER FLOWS C.F.S. FLOWS: UPPER SAC, McCLOUD, KLAMATH, TRINITY RIVERS AND MANY OTHERS! !DREAM FLOW SITE, WHEN IT'S TIME TO KNOW CALIFORNIA RIVERS & THEIR FLOWS. **INDIAN CREEK LODGE** INDIAN CREEK LODGE, TRINITY RIVER RECOMMENDED PLACE TO STAY . 59741 HWY 299 DOUGLAS CITY 530-623-6294 LET JIM AND HIS STAFF, TAKE GREAT CARE OF YOU WHILE YOU STAY ON THE BANKS OF THE TRINITY RIVER! FIVE STARS, FOR GREAT OWNER ATTITUDE, LODGE CLEANLINESS AND ATMOSPHERE. ONLY 10 MINUTES FROM GREAT FOOD IN WEAVERVILLE. $40 to $65 GREAT PRICES!! **STRAWHOUSE RESORT AND COFFEE HOUSE** 1-866-902-3267- 457 HWY 299 BIG FLATS NEAR JUNCTION CITY. WHAT A GREAT PLACE RIGHT ON THE BANKS OF THE TRINITY RIVER!! **TRINITY LAKES LODGING SITE WITH MAPS AND MORE INFORMATION ABOUT LODGING AND RECREATION IN TRINITY COUNTY!! MT SHASTA RESORT** One of Mount Shasta area's finest facilities, visit their great restaurant and their full 18 hole golf course with incredible views of Mount Shasta from almost every tee. Individual chalets with private bedrooms, full size baths, large livingrooms. Located within walking distance to scenic Lake Siskiyou. Just like owning a mountain home for the weekend! Kevin Lahey Photography Classic Mt Shasta Photos! Living Waters Recreational RaftingTom Harris and his expert guide Eric Rideout will be entertaining guest now on the Upper Klamath! Shasta Mountain Guides Mount Shasta's oldest and most respected climbing authority. Michael Zanger and his cast of world class mountain guides can take you near or to the summit on multiple or single day treks. **MT SHASTA BOARD AND SKI PARK. 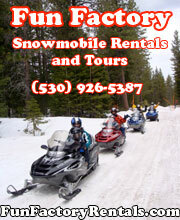 530-926-8686 Snow Phone**Buy your season pass now! McCloud Hotel B&B Historic Hospitality with the privacy of a hotel, you will love an enchanted nights rest at this amazing landmark. All rooms are decorated in a elegant 1915 fashion, when the hotel was originally opened. Gourmet breakfast included!! MT Shasta Inn & Suites 30 brand new spacious suites, free continental breakfast, outdoor spa, what else do you need? this place is new, clean and very comfortable. The rooms are very large and have modern amenities, Close to down town and Has Beans Coffee house! **Dream Inn B&B** Conviently located in downtown Mount Shasta, this Historic House is a great place to stay at and enjoy a great nights rest and a wonderful breakfast. 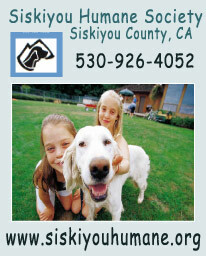 **Visit Siskiyou County** More information on Siskiyou County! Those Colors Never Fade Out On Our Guide Trips. Shasta is not receiving very much snow this season, so far I would plan to come up early this year. Steelhead fishing on the Klamath was good in October and November and then it slowed down and I moved back on the Lower Sac & Upper Sac rivers in Northern California. We caught a salmon and immediately released it, Beef Dog was proud! Carola’s hot lunches on cold days has been great! We landed a few steelhead along the way and then the season just fizzled? Jack Trout Fly Fishing was fantastic to work with – Communication was quick, clear and simple for purchasing a gift certificate as well as booking our trip. We were paired with Kayla Katayama who is an excellent guide. She is patient and provides clear instruction in a way that is always uplifting and never condescending. Kayla makes it easy to learn the sport and will inspire a new generation of anglers. Kayla Katayama is a great fly fishing guide, the only fulltime female fly fishing rowing guide in the state of California. We are proud to be promoting women in fly fishing and think it’s about time! Many clients are singing the praises of Kayla, she’s one hard working fly gal. This girl grew up fly fishing the flats of Hawaii with her dad since she could walk. This winter has been a bonanza for big trout on the Lower Sacramento River. Many happy clients out in our boats catching huge trout on flies. Friends and family out to bond together out in nature making memorable moments and lasting memories. Top notch guides like Ryan Williams getting our clientele into big healthy rainbows over these past two winter months. Lots of happy clients is what we’re talking about! None better than John Jakiemiec from Marin and his best buddy Bobby landing trout during the holidays. A lot of wading going on in the Lower Sac with these low flows, been good out there. Bobby here with his first Lower Sac trout, said he had a ball and wants to come back again in the future with his son. John back at it again with another fish on! Caddis and mayflies have been the ticket. What a great day it was indeed, look at those racing stripes, amazing~! Thanks again for calling me John have a nice 2018. Bobby back on with another folks, it was that kind of a day. The Lower Sac has saved the winter for many steelhead guides having slow fishing on the Klamath & Trinity Rivers. That’s ok, we’ll just go over to the Lower Sac, float and do some wading! Whoohooo! Back in the boat, fish on! If I was thinking about winter fishing, I would go to the Lower Sac or possible head up to the coastal rivers and fly fish Oregon. Possible spring trip to Pyramid Lake in April? Sign Ups Now For Winter/Spring Fly Fishing on Pyramid Lake Nevada. Fishing has been red hot Chris Reports!! Since 1994, we have been providing anglers with one day guide trips out of Chile and Argentina in all locations. I was in Chile to visit my son who was studying abroad for a semester. We decided to travel to the Puerto Varas area and fly fish on the Maullin River arranged through Jack Trout Fly Fishing. I’m experienced at fly fishing, but it was to be my sons first time. Jack arranged for us to fish with a local guide- Mattias. Mattias picked us up at our hotel and we drove to the river. We were fitted with waders and boots, and then we spent some time teaching my son how to cast a fly rod- different from other fishing he has done with bait casters. Mattias was great- he had patience in teaching my son, and he was very easy to be around. Fishing was great- we both caught fish and had a great bbq lunch on the bank of the river that Mattias had prepared. This was a great experience for us to share in Chile- and very easy to arrange and do. All the gear was provided, the river was awesome, and we had a great time. If I make it back to Puerto Varas, I wouldn’t hesitate to arrange a trip through Jack again- it was nice to be able to go fishing without having to bring all my gear for a one-day fishing trip. I travel quite a bit, and will reach out to Jack to see if there are other one-day trips I can add on to a business trip or two. Our guide Gustavo is one of the best guides in all of Chile, we have had nothing but constant praise on his vast knowledge and entertainment skills on the rivers and lakes in the Lakes District of Chile. They caught lunkers out on lakes that eventually became rivers and the scenes were incredible. These past 2 years we have really grown and we have all the right equipment, the right guides, private accesses and our clients are really scoring, not to mention paying a fair price for a very high quality fly fishing trip. We have 8 day packages for $2750 USD per person, includes great lodging, all meals, 5 days fly fishing per person. We get people who call us for a few days and some that call off the cruise ships, we always provide great angling, all the gear and a fantastic bbq lunch with Chilean wine and beverages. The trout and the clients are flipping out, Flip Wilson – about our fly fishing adventures in Chile and Argentina. One my all time best friends on the face of the Earth is my partner in Chile Mattias Bayer, we got this private section of river on the Rio Maullin very close to the airport and the cruise ships, makes life easy for guiding people on one day trips out of Puerto Montt & Puerto Varas Chile. Coming Soon Our Cabins!!! Stay Tuned 2019. Pete Gordon back for his 3rd year in Chile with us, we are always glad and honored to guide such a worldly man! Lots of nice brown trout caught on their trip in the Lakes District with Mattias. Pete Gordon who I have referred to as the James Bond of Fly Fishing has got to be one of the best casters & catchers I have ever seen throw a sink tip for trout & salmon, this guy can put a fly in the Queens Tea Cup, as they say. I like when you get clients from other countries and you learn new things from them, that truly makes the world go around. The water was high in December in the Lakes District of Chile so this made fishing a little more tough, but leave it to Pete, if there is any fish to be caught they will be landed by Pete Gordon, the James Bond of Fly Fishing soon to be Sir Pete Gordon, so we hear. Congrats! have just returned from another trip booked through Jack Trout fly fishing.I fished in Chile for the first week with Jacks excellent Chilean guide Mattias who speaks perfect English.The rivers were very high due to a lot of snowmelt, nevertheless Mattias put us on the fish and we caught some great browns and rainbows on three different rivers. Mattias was extremely hard working and enthusiastic and provided us with great cooked lunches on the river.He also collected us from the airport and dropped us off on our return.Then it was across the border into Argentina,beautiful weather and great fishing even though the rivers were high.Caught some big browns,rainbows and sea trout on the lovely Malleo river,most on dry fly.Another memorable trip highly recommended. We always provide the lunch experiences available in the fly fishing industry, we are known for that. Lots of happy clients catching nice trout is always a happy site. Getting out of the boat and wading a rivers is what I like. I love when catch those Atlantic Salmon Grisle from England in the Rio Maulin in Chile, near Puerto Montt. We have 6 miles of private water, no one can come down on us from above, the jungle closes off the river, so it’s all yours. We also guide on the Rio Petrohue, one day trips fly fishing over there are always productive,, a real “fan-favorite” with the clients. What a beautiful section to wade on foot. Out on a Chilean Lake with our guide Gustavo, our client Felix just landed a total lunker rainbow trout. I was actually on a business trip in Santiago but as a passionate flyfisher I could not resist to pronlongue my trip to Chile with an additional week enjoying the great flyfishing opportunities in the lake district around Puerto Varas. I found Jack Trout offering in the internet and I am very happy to have choosen them! It turned out to be my best Flyfishing trip ever! Their service was just top 5 Star. Jacks wife Carol did a fantatic Job planning my whole trip, organizing everything from flight Tickets to Hotels/ cabanas and of course a local guide Gustavo full of thrive to service me best as possible and guiding me to hidden rivers with his SUV and boat. So what could be better than wonderful nature, fish so beautiful in color and size, a guide acting like a friend but giving more comfort like serving you with 5 Star wildfire menues…? Just heaven on earth! And off course thanks to Jack for a lot of local recommendations: I loved the meat at La Marca just perfect! That trip was a total success, it just kept getting better and better! Thanks again Felix for coming to Chile, Carola really liked working with you and Gustavo said you were a great fly fisher and fun to hang out with. Way to go! Mark had a great time with his wife Wocky inside of Petrohue Falls National Park, this was part of their trip with Mattias, so a little fishing, a little sight seeing. We can do anything folks, we always listen and got you covered. We get the browns you dream about! You can see them come after fly the water is so clear, it’s incredible! Tolin is a great guide and will make sure your week is perfect! This season has been incredible for larger trout, there’s still time between now and April to get down there. I promise Jack Trout Walt Disney Fly Fishing Adventures! This is my guide and partner Tolin (Left) You talk about guide/entertainer! Tolin will have you in trout and in stitches everyday as he is the funniest Chilean I have ever met in my life, he should of been a comedian on the side because he is loved and revered as one of the most all around talented Chilean guides to ever walk the face of this Earth. No one is even close folks, Tolin is your guide in Coyhaique Chile. I mean, he knows how to find the REALLY HUGE BROWN TROUT. Ryan Shook gave a call from Texas asking about my guides in the Pyrenees & possible over in Catalonia. We set up everything for him, made it real easy to do a one day fly fishing trip in Spain. I called Jack Trout Fly Fishing and he set me up with Joanso, my guide he arranged in Catalonia Spain. That day we spent fishing the local river with both streamers and nymphs. Joan was extremely friendly and helpful and did a great job of teaching my novice fiance the mechanics of fly fishing. Although it was the tail end of the season, Joan was able to put us on the fish and I was lucky enough to land a monster 3.5 brown on a streamer. He also brought us to a fantastic local restaurant for tapas and wine for lunch. I highly recommend Jack and Joan’s services and will be sure to return to Catalonia! This is Katherine Smoots, Todd’s wife. He forwarded me your email and wanted me to touch base with you directly since I will be there with our three boys (ages 20, 18, 17) over the holidays!December 26th is perfect! But actually there will be 4 of us that would like to fish…I hope that won’t be a problem.We will be staying at the Queenstown Village Apartments (1 Alpine Lakes Drive) on the evening of December 25th, but will be checking out early that morning. We will have a rental car and can meet you if you give me a location/meeting spot. After we spend the day with you, we will actually be driving to Te Anau to spend the night. We will be flying out of the US late tonight (Sunday, December 17) and arriving in Auckland on December 19, so I may be a little out of touch until we get WIFI in Auckland. If you could, let me know the details (meeting spot, cost, time) for the 26th!We are all so excited! Thanks so much! We offer Day Trips For Fly Fishing In New Zealand In All Areas, We All Service All Cruise Ship Stops And Tenders. We also offer affordable packages prices on private waters, helicopter fly-ins and fantastic lodging with meals. And oh yea! New Zealand rivers at their finest! Give us a call for information. Jack Trout delivered the most exceptional experience ever and accommodated our last minute planning with finesse! As previous clients (fly fishing in Chile), we turned to Jack again; with only a week’s notice, Jack found and secured guides for my family (myself and three teenage sons) the day after Christmas near Queenstown, NZ. Our local guides were fantastic…patient, instructional and very accommodating! And the fact that Jack was able to arrange this the day after Christmas was awesome as we were limited to travel schedules during our trip to the South Island. The whole process was simple…from start to finish! Jack was so responsive and communicative, overseeing the coordination from beginning to end (even following up to make sure we had a superb experience.). We really wanted to fly fish in New Zealand, but having never visited the country, had no idea where to start with locations or guides. Our day fly fishing on the Mataura River was the highlight of our trip to NZ, and we couldn’t have experienced it without Jack Trout. Crystal clear river beds, stunning New Zealand countryside, excellent guides and beautiful brown trout made for the most amazing family holiday ever! Thank you, Jack Trout…we can’t wait for our next trip with you! Are you traveling to the Bahamas? We can set up all your fly fishing and tours, we handle all of the Disney Cruise Ships business as well as several others that land in Nassau Bahamas daily. Had fun talking with Jack when booking the trip, and when I found out he lived relatively close to me in northern CA, I sincerely asked that he reach out if he’s ever in my neck of the woods so we could have a casual day on the river. Will definitely reach out to him and his wife for future international trips. was the man, and had tons of local knowledge and personality. While I know there is more to it, he not only pointed us in the right direction, but explained all his reasons why; so I would feel confident if I ever had to find my own bonefish. In a matter of 5 minutes Simon got my wife to take the casting trips that I’ve been trying to get her to listen to for 12 months. Yes we also catch tarpon there too! I like to get out of the boat and wade just as much as fishing off the deck. Be sure to have the right shoes for walking on turtle grass and coral out in the ocean. Simms makes the best shoes for walking out on the flats, make sure you pick up a pair. Making your families fly fishing dreams come true is what we’re all about at Jack Trout Fly Fishing International & Tours. Argentina = Best food in the world! Getting an Argentina fishing license, you’ll need our help. Incredible! Best steaks on Earth. Fantastic rivers teaming with so many trout and when it’s winter in the United States, it’s summertime there. My head guide in Argentina Tuqui is a legend. Lots of great trout taking dries on the surface, how sweet is that. Big huge beautiful brown trout, you’ll never forget. Long days that wipe you out, no one ever left Argentina unsatisfied, you’ll fall asleep about 1 am and be up at the crack of dawn everyday, I promise. Amazing scenery and fantastic dry fly opportunities, Argentina is a great choice for your next destination with us. Guanaco on the private road we take for access to the river in Argentina, pretty cool scene. Day trips Hopkins & Placencia Belize – We offer the lowest price packages $450 for two people for all gear included & lunch. Now that’s a great shot there! Big healthy brown in the River Ribnik. Both the River Ribnik and River Pliva are breath taking rivers with incredible brown trout & grayling, soe of the best dry fly fishing in all of Southern Europe. $375 USD for two angers, includes all the gear and a great bbq lunch. We are still doing one day trips to the Bay of Pigs Cuba and packages on Cayo Largo and Cayo Cruz. All trips now to Cuba must be follow under certain rules we are approved under these rules with the US Government and are a pending application with the OFAC for other type tours and offerings, you can count on us for legal Cuba travel. We look forward to seeing old friends return and make a few new ones along the way. Experiences with family are some of the most memorable. #2 Classic Car Tour Company Out Of Havana, We Are Very Proud About This. I joined a circus folks in Cuba, be home in a few years!! lol. This our resort we send to people in Cayo Largo Cuba, every night they have shows. That night I was guest of honor! Carola out on the beach rounding up sea turtles with our clients to be released into the ocean. The Best Tour Guides Ever Jesse and Katia Aguilar. Many other countries are scratching their heads wondering why we are doing what we do in Cuba. Cuba is a great country we must get back on track with, it doesn’t make sense to harbor our enemies 90 miles from our shores. Americans want access to Cuba, they don’t care about politics, they just want to go and see the beautiful country and its people. With time things will change, for now we will remain patient and continue helping Americans who want to go to Cuba with tours & fly fishing, call us for information. The country is absolutely amazing! We know the best restaurants to go to, you will love your trip with us. Old Havana Square that dates back before the 14th century is an amazing area, you can feel the history all around you. This is where we pick up people form the cruise ships. We have the best classic cars in all of Cuba and we are ready to tour you and keep you safe. Serving the cruise ships daily from all locations worldwide. We help American couples and tourist alike. Let’s go to Hershey Town Cuba and we will tell you all the history of Milton Hershey’s endeavor in Cuba from 1916 to 1941. Our favorite clients of 2017 in Cuba was Leticia and her daughter, we just found out they are coming back! because of the flight delay. They ended a bit tired but it was wonderful! and they were happy with that. in the very last minute! desire on improving things in Cuba together. with Cuba Classic Tours team. He will definitely give us an excellent review! We like to take American tourist to the places most tourist don’t see in Cuba. Our tours are cultural Humantarian experiences or Americans and the world, check out www.cubaclassictour.com for more information. Mokolelumne River California Winter Fly Fishing Guides – Only 2 Hours From Most Bay Areas Locations January through March, My Guide Is Fired Up To Take You Out $450 For Two Anglers, Includes Rods And A Great Lunch. Big steelhead on flies, this is an easy trip from the Bay Area!! My guide – Chris Gearhart will never let you down, give me a call we have open dates. 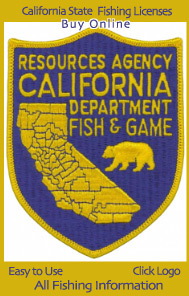 Mokelumne River- If you can spell it, you can fish it!! All the rivers are private in Iceland but we have hooked up with one of the best outfits in the entire country, give us a shout so we can forward our information on this incredible destination. This is a really great place to fly fish if you are looking for incredible fly fishing for large species of trout on spey rods. Give us a call for more information on fly fishing Iceland. How About Fly Fishing the Chetco In Oregon! Really huge steelhead being caught up there now! Give us a call with these recent rains things are starting to pop. My guides are catching hogs on the Sandy River near Portland, Oregon. Give us a call, I have the perfect guide for you on the Sandy River in Oregon. Bolivia Fly Fishing Packages & Guides 2018 Season Now Begins! Check Out Our Reviews On Tripadvisor And You’ll See Why We’re #1 Worldwide For Fly Fishing Travel. 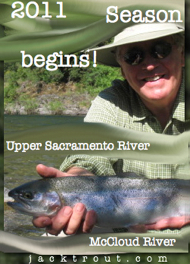 Upper Sacramento Private Fly Fishing Raft Trip – Private Spring Float Trips Go ON Sale Now. Sign Up Now For Spring Trips On The Upper Sacramento River, We Offer Private Fly Fishing Float Trips. And of course Chris Welch and the Baxter Boys!! That’s always a fun trip to look forward to in the spring. See you then folks!! Thanks for all your support over the years, we’ve really come a long way! 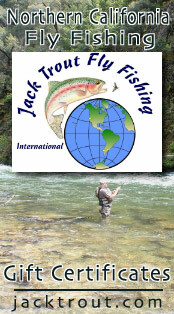 Many rivers to you, Jack & Carola Trout & Team Trout International Guides.